Hello everybody and welcome to our article featuring as many as 10 premium unbounce templates. If you’re looking to build yourself a website of any kind, you should definitely check out today’s list as it consists of different themes for various niches. Also, if you purchase one of those templates, not only will you get a quality product that is ready to be used basically right out of the box, but you will also get access to the 24/7 support hotlines. Those will come in very handy if you lack the experience in the field of development. It’s about time for you to scroll down and see all of them with your own eyes. So, feel free to do just that. 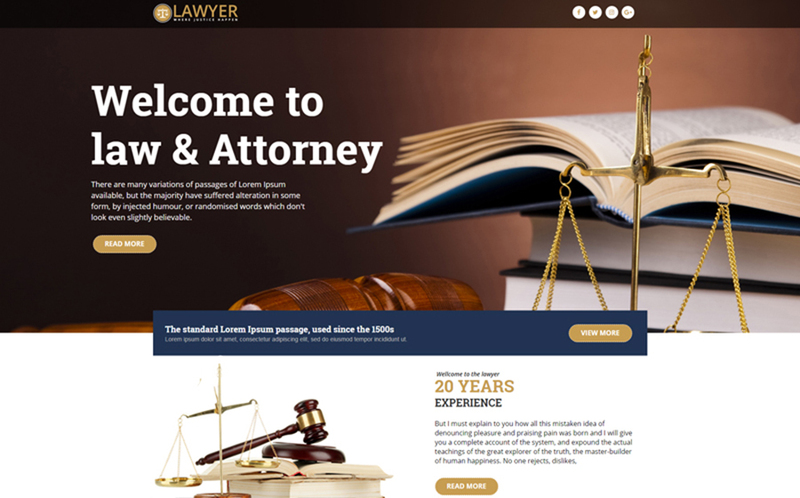 This impressive, magnificent template was specifically designed for legal offices, lawyers, attorneys, counselors and so on. It is very flexible and fully responsive, which means it will look great on any available screen resolution. Its testimonials are great and will help you win over your potential customers’ trust. The template is also very easy to use and should satisfy all of your needs. This theme comes with everything you need to boost the conversion rates on your website. Its design is top-notch and professional in every single aspect. It is very flexible and easy to use and fully responsive which is very important for a success of a website. Its gallery will let you showcase all of the properties you have for sale in an attractive manner. 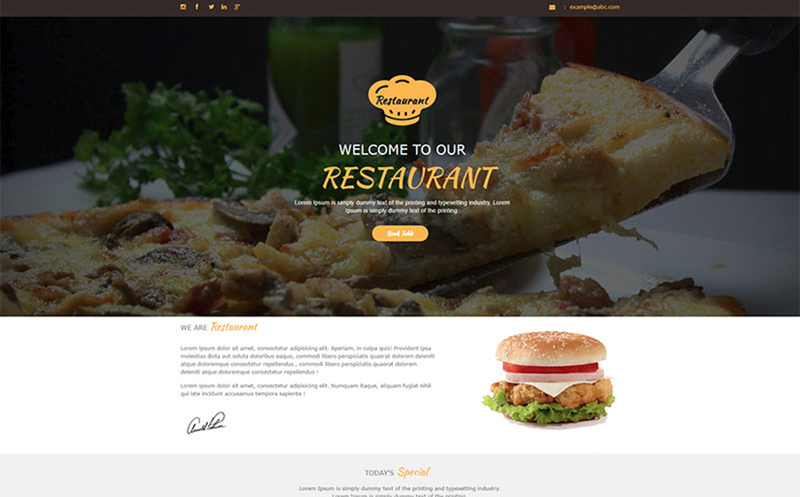 This professionally crafted, modern and clean template is perfect for any business operating in the restaurant industry. It is fully customizable so you can change pretty much everything you see to fit your needs. It also comes with table booking functionality which is essential for a website that belongs to this niche. The theme also lets you showcase your menu in a yummy way and its background pictures will definitely make your visitors salivate. 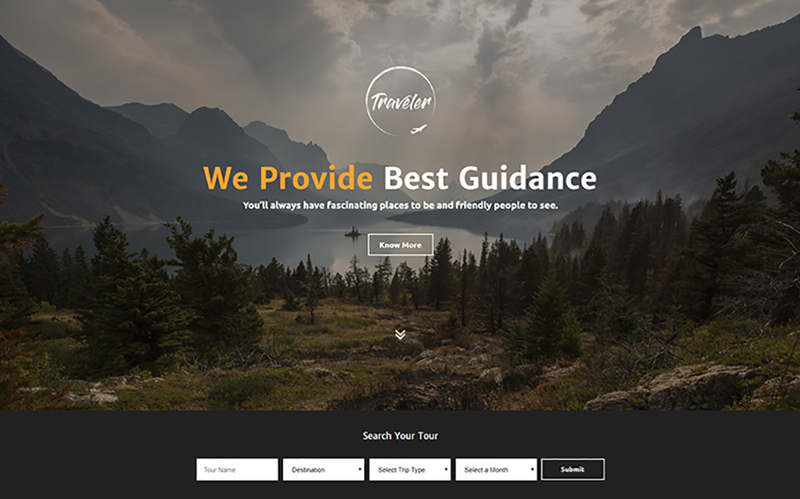 This is a modern fully responsive template for holiday planning, hotel booking, tour and travel guides and agency websites. It is included with Tour list and Tour Booking as well as all the other features to increase your conversion rate. The theme’s files are easily customizable and you can tweak it as much as you need. It also comes with blog functionality, which will let you tell your customers about your services in a more engaging way. 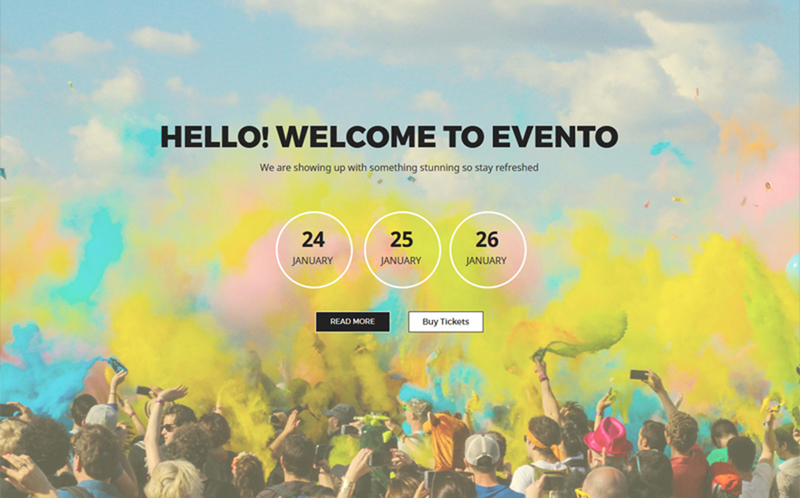 This theme’s sleek and modern design is perfect for club, party and other event websites. 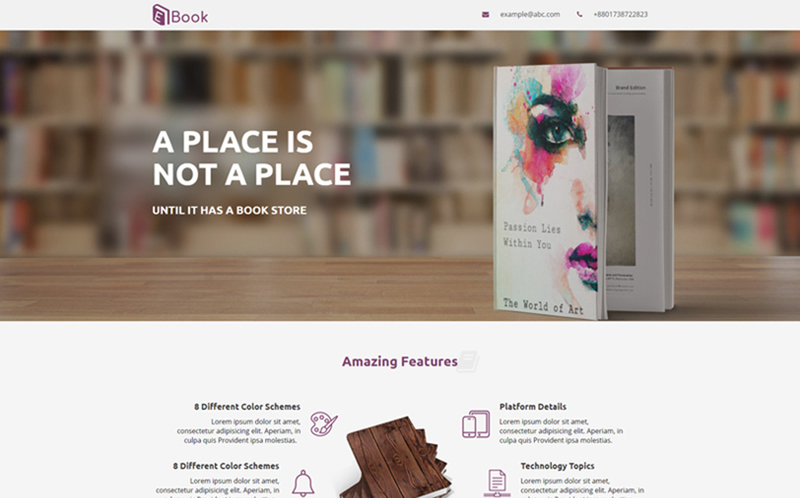 It features parallax scrolling sections which will make your visitors’ browsing experience a lot more engaging. It also comes with the Unbounce Landing Page Builder allowing for some quick and simple customization. Its design is fully responsive and is supplied with Icon Fonts and pretty extensive documentation. 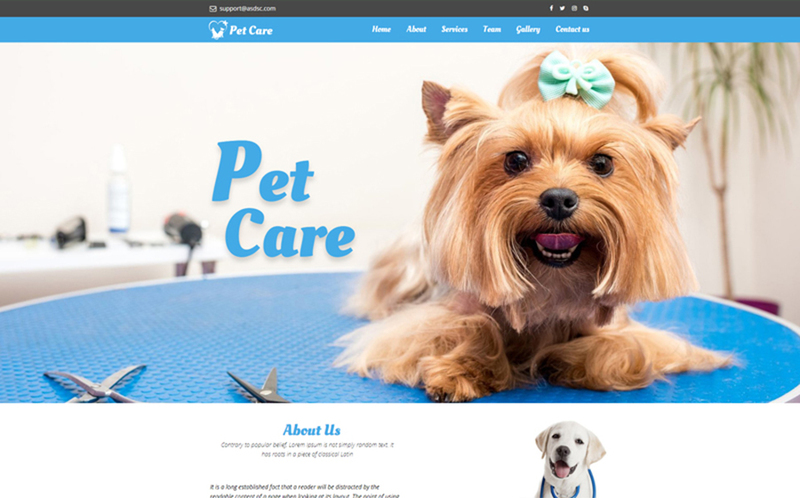 This cute template was developed mostly for veterinary clinic websites. It comes with everything you need to build a successful website in this niche and is fully customizable. The cute pictures of healthy animals will not let your visitors unmoved. Its gallery and testimonials sections will help you gain trust and convert your visitors into customers. If you’re a book author or marketer that is looking to get your product noticed, this is the theme for you. 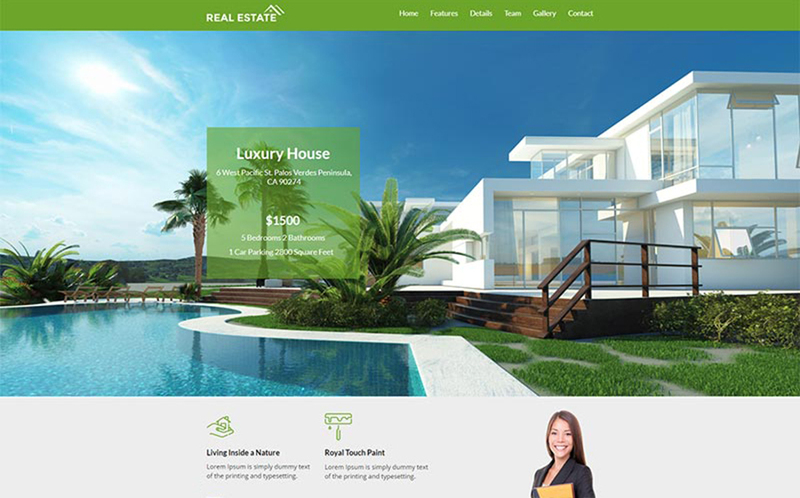 Its contemporary design and clean look make it stand out and fit most types of landing pages. It is fully customizable, so if you wish to shake up your layout a bit, you can always do that. It is also fully responsive, making your website available to everyone, no matter which device they choose to use. 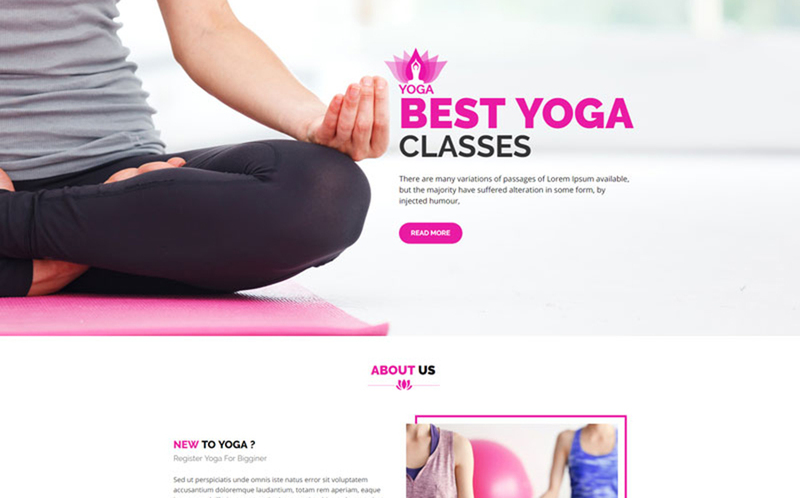 This theme is all you need to create a professional website for Yoga, Pilates, Meditation, Spa, Personal Coach and any other sports businesses. Its files are easily customizable and you can tweak almost everything you can see. It’s about us section will let you introduce your business to your visitors in an intuitive and simple manner. It is also fully responsive and easy to use, so if you don’t have much experience there’s no need to worry. 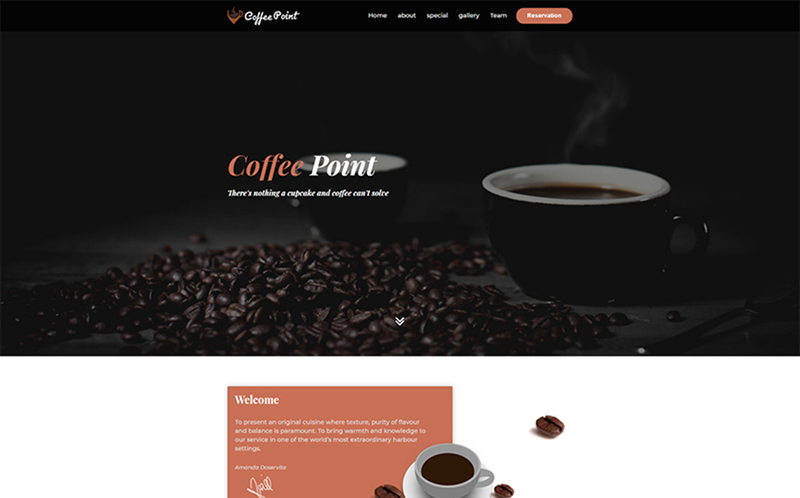 This mouthwatering template fits the appetite of any business relevant to the restaurant, cafe and diner industry. It is multipurpose and great for all sorts of coffee shops, bars, bistros, bakeries, pubs, pizzerias and more. Its design is clean, modern and fully responsive. It is also fully customizable, which gives the template a whole lot of flexibility. 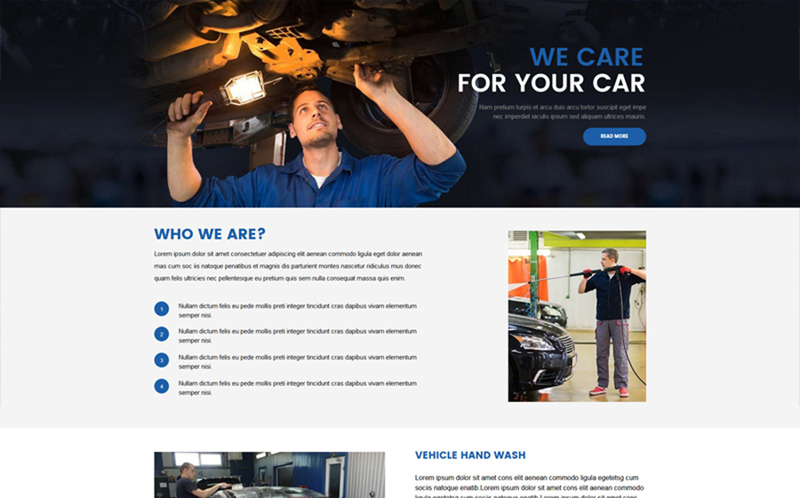 This theme is perfect for any sort of car services websites, repair shops or even individual handymen or car dealers. Its clean design features parallax scrolling sections, which look cool and make the whole browsing experience more engaging. It features the Unbounce Landing Page Builder that allows for some deep customization options without ever having to touch the code of the theme. It is also cross-browser compatible and comes with Free Icon Fonts. So, did you like anything in this collection? Feel free to tell us your honest opinions in the comments section. We would love to hear from you! And if nothing caught your eye in this article, be sure to check out TM’s website for more awesome templates!